Your Source For Ski Resort Deals. Ski vacation packages to California. Take advantage of our deals, discounts, the best planning advice, or create your own ski / snowboard package. Want to be in a place as high as heaven? Then come to Heavenly! Choose your way up, from either 200 miles off northeast of San Francisco, California or 58 miles southwest of Reno, Nevada. An epic mountain that has everything, from the most sun shines to the most unforgettable times, Heavenly supplies it all! Sprawling in 4,800 skiable acres, Heavenly is one of North America's largest mountains, California's longest vertical drop at 3,500 feet and Tahoe's highest summit at 10,067 feet. 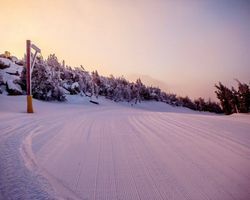 With 30 high-speed lifts moving skiers and riders to 95 wide and dashing trails providing some of the best skiing on the planet. Take your pick, join in a memorable trip to Heavenly Adventure Peak, ride up the mountainside and take a bird's eye view of Lake Tahoe and hit it for some blissful off-mountain breaks! 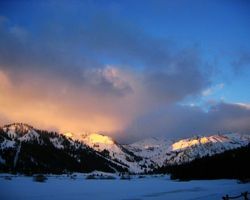 Free Nights Galore at Ridge Tahoe Resort! Save an extra 10% when you stay 3+ Nights at Lakeland Village. No Blackout Dates!